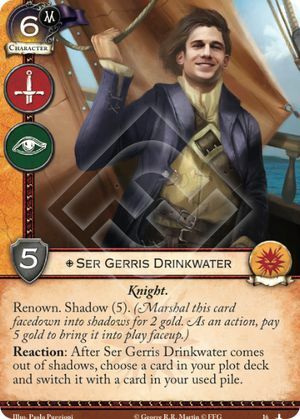 Reaction: After Ser Gerris Drinkwater comes out of shadows, choose a card in your plot deck and switch it with a card in your used pile. Plots switched with a plot from the used pile are considered to enter the used pile (e.g. for Sand Steed).